« Fruits – When are Your Favorite Fruits in Season? 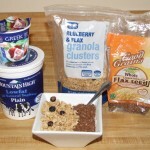 Yogurt Makes A Delicious and Healthy Breakfast – Make it Your Own With Extras! I know, I know… many people (including me once upon a time!) seem to think that eating yogurt may seem a little too simple to make a breakfast meal. Well, if you want to eat a healthy breakfast, then yogurt should definitely become one of your regular breakfast foods. I now eat yogurt at least 4 – 5 days out of the week, and absolutely love it! I buy a big tub of plain, non-fat yogurt (Mountain High is my favorite!) and then one of those small, individual yogurts (usually with blueberries or strawberries) so I can add a small scoop to the one cup or so of the plain yogurt in order to add a little touch of flavor without adding too many calories. 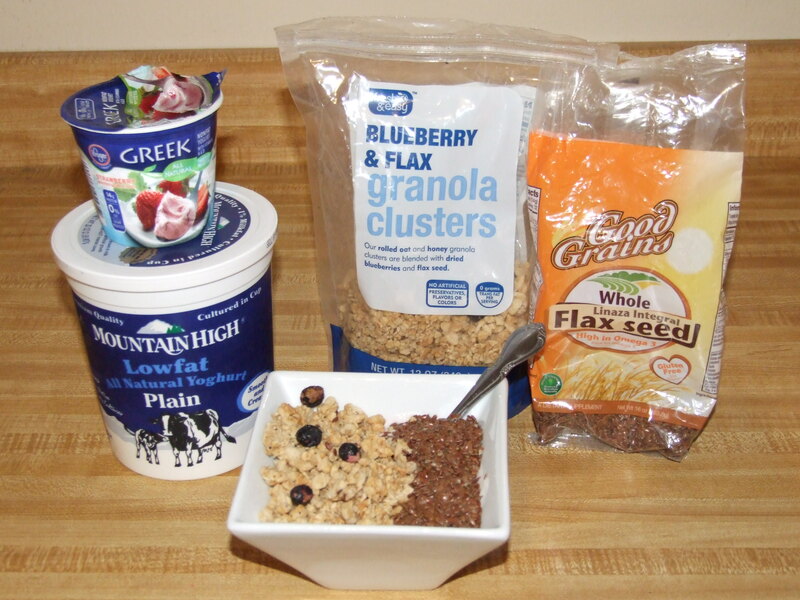 Once I make just the right mixture, I add about 1/4 cup of my favorite granola or Grape Nuts cereal, then I sprinkle about 3 -4 tablespoons of flax seed on top. I’ve recently added chia seeds, which I bought at the Farmers Market and absolutely love! If I happen to have a few fresh berriesavailable, I throw them on top for some extra flavor and nutrition. Yummy! Okay, ready? Yogurt is made by adding (a particular kind of) bacteria to milk and then allowing it to ferment in a controlled environment. Of course, there’s a step-by-step procedure to making sure that it comes out just right, but that’s pretty much the procedure of making yogurt. There are a lot of health benefits to eating yogurt, as well as it being rich in protein. So if you’re one of those people who think yogurt may be too plain to eat for breakfast, I ask you to think for a minute or two so you can come up with your own special yogurt recipe that will have you hooked (like me!). Be sure to share!